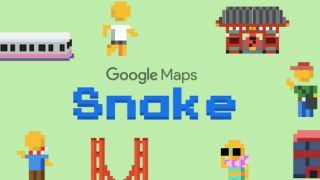 As an April Fools 'stunt' Google has hidden the classic game Snake in its Google Maps – but you need to know where to look if you want to play. The game’s available to play for 'roughly' a week (according to a Google spokesperson speaking to CNET), so make sure to play it soon if you want a chance to grab a high score. You’re going to need the Google Maps app to play Snake on Android or iOS, but it comes pre-installed on Android phones (as well as being a hugely popular iPhone app) so most of you will have all you need to play already... as long as you've updated the app lately. In Google Maps, press the menu button in the top left of the screen, then scroll down to ‘Play Snake’ in the menu. This will load up the game, and you can choose between the world locations to play Snake in. If you want to play Snake on your desktop, you’re not going to find it on the Google Maps website – instead, head to the dedicated site: snake.googlemaps.com. The desktop version of the game is the same as the Android or iOS version, except instead of swipe controls you'll be using the arrow keys. Be careful around the edges of the map – unlike certain other versions of Snake, if you hit the walls you’ll lose, so play it safe if you’re picking up passengers around the edge. On the Android and iOS versions of the game you can queue up swipes if you’re turning quickly, so there’s not as much need to frantically swipe if you’re in a tight corner. For those that remember the original version on the Nokia 5110 phones many years ago, the arrow keys on desktop are incredibly responsive and won't require much effort to time correctly. Tall buildings will look like they take up several spaces, but you can only collect them from the base, so aim there to be able to grab the 10 points they provide. It sounds obvious, but remember you grow every time you pick up a passenger, food item or landmark, so make sure you’re never cutting it close when you’re trying to pick up something near the end of your tail.